This year’s EACD Forum will take place in Paris on November 15 and will focus on Corporate activism in an age of radical uncertainty. The lack of strong leadership has never been more apparent than in today’s volatile world: the challenges of globalisation, technological change, immigration issues, and the rise of populism all demand clear reactions and responsibility. There is a marked loss of trust in institutions and business, most notably this year in the Facebook data privacy scandal. The University of Maryland School of Public Policy will offer a for-credit international graduate course on understanding and synthesizing evidence-based research in Summer 2018. 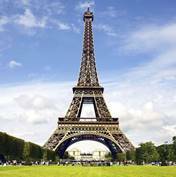 Classes will be held in Paris, France, from June 4 to 15, with some assignments being due before and after the two weeks in Paris.